Welcome to All-Star week, which around here means it’s once again time for our annual Trade Value series. I’ve been doing this project now for 13 years, dating back to 2005, and have been doing it here since 2008. The project has grown in scope over time, but thanks to help from friends like Dan Szymborski and Sean Dolinar, I think the current presentation is as good as it’s ever been. For those new to the series, the list is an attempt to answer the question of who would bring back the most in trade for his team if he were to be put on the market and made available before the deadline. Because different teams have varying resources and roster needs, we’re not saying that if one player is ranked ahead of another player, the team with the lower-ranked player would make a one-for-one swap for the higher-ranked player; there are some teams that will put more of a premium on short-term value while others who are looking to maximize long-term potential, and salary is a larger factor for some organizations than others. Of course, every team would love to have a player who contributes both now and in the future, and does so without consuming a large part of their budget; guys who check all of those boxes will rank at the very top of this list. For most players that we’ll discuss over the next week, though, they come with a combination of those features, but force us to evaluate the differences between present and future value. Weighing the pros and cons of their ability to help a team win right now, their place as a long-term building block, and how their salary plays into a team’s financial picture requires balancing different strengths and weaknesses, but there’s no question that the game has shifted towards younger players over the last few years, and teams have never put a higher price on youth than they do today. But there are short-term gains to be made by giving up players who look to have bright futures, and in this project, I do my best to balance both sides of the spectrum. Because so much of this is hypothetical — most of these guys are effectively off-limits in trade talks — it’s impossible to make this an exact science, but I’ve done my best to try to reflect how teams are valuing these players in 2017. To begin the series, let’s take a look at the guys who didn’t crack the top 50 this year. To start off, we’ll look at the players who were on this list a year ago but aren’t returning for a repeat appearance for one reason or another. Note that, where “performance” is listed as a reason, that’s not simply a player’s 2017 season I’ve considered, but rather his whole performance since last year’s publication. And since everyone loses value as they get closer to free agency, you generally have to perform better than you had previously, or sign a long-term extension, to maintain something close to your prior position. Thus, there is naturally a lot of turnover in the last 15-20 spots. The biggest fallers, as always, are the great players who are getting ever closer to the end of their contracts. Yes, every team in baseball would love to have Harper, Machado, or Donaldson on their roster, but all three are eligible for free agency after next season. And while teams would absolutely give significant packages of talent to get these guys for even a year and a half of performance, it’s difficult to get a team to surrender a player good enough to make this list for a guy who could leave after next year. Harper nearly made the list anyway, given how good he is and the value a team might place on getting him comfortable with their environment before free agency began. In the end, though, I couldn’t find anyone who would surrender the kinds of players who made the end of the list for a guy who could leave after 2018. After that, it’s mostly a mix of pitchers who got hurt and hitters who stopped hitting since last July. There’s still a lot of talent in that group, and plenty of future value that would certainly be attractive to rebuilding clubs, but most of these guys have made their level of present value questionable with their recent struggles. The Pirates have been hit particularly hard by young core guys going the wrong way, with Cole, Marte, and Polanco all doing significant harm to their value in the last 12 months. Pederson is the guy from this list who came closest to making it back on, as he remains a good young hitting center fielder. But his durability remains a question, he doesn’t hit left-handed pitching, and he’s about to get more expensive via arbitration, so he just missed the cut this year. Beyond last year’s drop-offs, there were a number of other very good players who just didn’t crack the top 50 this year. Let’s take a look at a few of the groups of guys who were in consideration but eventually fell just short. As the Aroldis Chapman trade showed last summer, you can get a massive haul for an elite reliever, even a reliever on an expiring contract. Every contender wants to upgrade its bullpen in July, and the fact that relievers can be used so differently in October causes them to be in high demand every summer. But note that the Yankees got similar packages of talent for Miller and Chapman both; teams really want good relievers for their short-term value, but everyone remains suspicious of the long-term value that highly volatile players can provide. So while guys like Iglesias, Osuna, and Rivero are really good now and aren’t anything close to rentals, teams are going to discount the future value that comes from extra years of control for a relief pitcher more than they will for other players. When trading for a reliever, teams are mostly still looking for short-term upgrades, and if they get some future value, that’s a nice perk, but you can’t necessarily count on these guys to remain high-level performers well into the future. And without that stable long-term value, it’s tough to put these guys in the top 50, even though they’re clearly all quite valuable trade chips. At times, all of these guys have looked like core franchise building blocks. At other times, all of them have looked lost. Teams would love to have any of these guys and bet on their upside, but each comes with legitimate performance risk, as well. At their best, they’re very good, but the up-and-down nature of their track records made it too difficult to include them in the top 50. These guys would all be very nice short-term upgrades, as they’re among the best players in the game at their position and each has gained value since signing his current contract. But in most of these cases, there’s not a lot of long-term value, as these guys are no longer all that young, and either have expiring contracts or significant enough salaries that their value is mostly in the here and now. Simmons is the exception to that, but he’s a defense-first shortstop, and teams still don’t pay for defense like they do for offense. I think you could make a decent case for just about any of these guys — except maybe Murphy, who is another year-and-a-half guy — as one of the last few guys on the list, especially if you’re a team prioritizing now over later. But there are just enough questions about each — Murphy isn’t great defensively, Seager’s power has gone backwards this year, Belt’s offense is heavily BABIP-driven, etc. — that I couldn’t quite squeeze them on ahead of the younger guys who ended up making it. Lots of talent here and lots of guys whom every team would love to have — all with a combination of present and potential future value. But there are also a lot of medical issues in this group, with frequent DL stints raising questions about how well these guys will hold up down the line. It’s tough for a team to pay for a guy under control for multiple years if it’s not clear how much time he’ll spend on the field. Take away the injury issues and several of these guys crack the list, but durability concerns leave all of them in the honorable-mentions category for now. While the consensus best prospect in baseball was indeed traded over the winter, teams remain highly reluctant to part with their best young players. That said, you’ll likely notice that there’s a significant decrease in minor-league players on the list this year as compared to last year, when six prospects cracked the top 50. This year, just one non-major leaguer is on the list, and he ranks significantly lower than he did a year ago. Part of that is just cyclical, as this group of prospects simply isn’t as valuable as groups in past years. The top-ranked prospect in the game is still striking out nearly 30% of the time in Triple-A and is a work in progress defensively. Guerrero, whom Baseball America just moved up to No. 2 in their midseason update, spent the first half of this year in Low-A ball and probably can’t help a big-league team for a couple more years. This group of prospects just doesn’t really have that obvious big-league-ready star who can be expected to come up and significantly help a contender in the second half of the season. There’s a lot of good talent in the minor leagues, but it’s generally lower impact or further away than the top prospects of the last few years. These guys may very well become stars down the road, but right now, they’re just not quite close enough to being big-league producers to crack the top 50. Kershaw is amazing. He’s still the best pitcher in baseball, and even at $33 million per year, he’s still a bargain, given what he does on the field. But his contract makes him virtually untradeable, as he has an opt-out in his deal after any season in which he’s traded, effectively making him a rental at all times. He also has an official opt-out after 2018, so he’s pretty likely to hit the free-agent market with Harper, Machado, and Donaldson next year. But he has less value than even that group, because if he was to be traded this summer, he’d be able to void the rest of his contract and hit the market this winter. 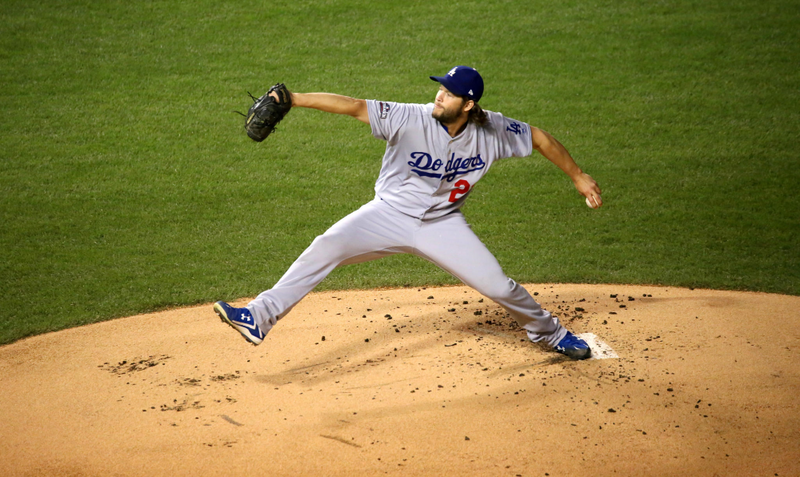 No one is giving up one of the top-50 core pieces for a rental, even a rent-a-Kershaw. We hoped you liked reading 2017 Trade Value: Honorable Mentions by Dave Cameron! Thanks, Dave. I look forward to this every year. Also, would love to see this project expanded to see an offseason update, taking into account both risers and fallers, as well as the difference in the mid-season and off-season trade markets. Given the amount of work that goes into this, I’d be surprised if Dave could pull that off. I wonder if a shorter version just summarizing a few major risers and fallers would be feasible, though?